My youngest child has had a proper haircut. It took three tries over the course of a week, but his hair has gone from long, lustrous silky locks to short, spiky and school-friendly. He's at secondary school now. They said, "Oh God, another Sheppard." This morning I chucked him out of the car two blocks away from school, yelling "GO! GO!" and he sped up the hill after his big brothers with his tie trailing behind him. At least we're keeping with tradition, is all I can say. He got Latin homework on the VERY FIRST day of school and is absolutely loving every minute. My eldest child has been in Malaysia. He brought me back a packet on M+Ms, but he ate them accidentally. And, have I seen all of the great photos he allegedly took? No. This evening after work I announced, in between sips of wine, that I was perfectly capable of being a responsible adult. One of my friends snorted and another one said thoughtfully "Well, on occasion." 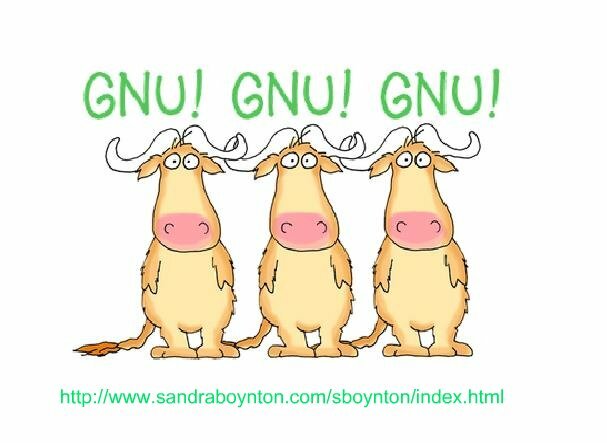 Sandra Boynton, still the best. My middle child and I had a proper mom-teen falling out earlier this week, which doesn't happen very often around here. He's being very sweet and loving to make up. I haven't changed my mind about the laptop being in the bedroom though. "No" is the word of the moment. I know, worst mother ever. We are going to have an absolutely relaxing weekend of pottering round, sleeping in and wanting to buy stuff from Sandra Boynton. I'm making a Christmas shopping list. The laundry and cleaning and so on will be done by a tribe of minions. 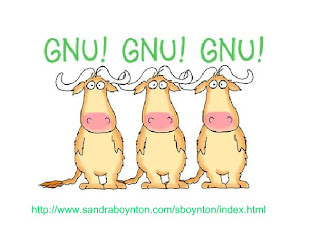 Gnus, even. Oh and I have to go to ikea. I wish I could send minions to collect my chest of drawers and bathroom storage options, but alas, Gnus cannot drive. It's unfair discrimination, I say. 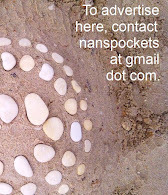 Back to school sounds like a mix of wonderful and stressful...just like here!